At the end of the world, who can you trust? The aliens have invaded, wiping out almost all life on Earth. Their goal: water. 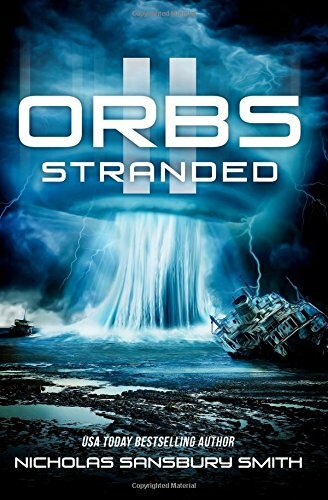 Huge spaceships are draining the oceans, and the few remaining humans have been herded into farms, where their bodies are harvested to support the growing alien army. Humanity's last chance lies in the biospheres that have been planted secretly across the globe. But all is not peaceful in the biome led by Dr. Sophie Winston. With resources dwindling and tensions high, her small group of survivors is divided. Some want to fight, some want to stay hidden, and Sophie just wants to keep everyone alive. When one of their own, 11-year-old Jeff, is kidnapped by the Organics, Sophie is forced to pick sides. With the help of a promising new magnetic weapon, the biosphere team just might have a fighting chance to save Jeff and the world--if they live long enough to use it.